A special “Orions Rise” show in Boston will donate all proceeds to victims of Hurricane Harvey. 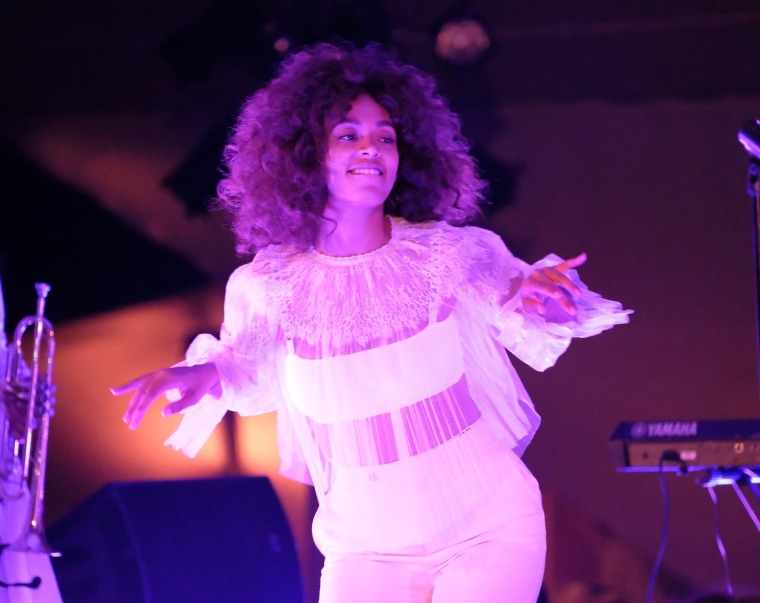 Solange joins the ranks of many who have pledged their support to the people who have been affected by Hurricane Harvey. The artist posted on to her Instagram that she will donate all of the proceeds from her performance at the Orpheum, in Boston, to organizations that will help the families and individuals who have been impacted. The show will also feature The Sun Ra Arkestra. "I'm committed to partnering with organizations on the ground in Houston and making contributions to uplift the city that raised me with so much love," she wrote in the caption of the post, which can be seen below. "I thank you in advance for making this a special meaningful night !" If you are looking for a way to help those who have been impacted, ways to help can be found here.